There are so many reasons to choose Pavers. Pavers allow for easy access to underground utilities such as sprinkler or electrical lines. Once the pavers are re-installed there is no sign that they were ever removed in the first place. Cracking, which is common with asphalt and concrete pavements, is not an issue with pavers due to the joints between the pavers. Pavers are a flexible system and allow for movement. Pavers are almost indestructible because the pavement system moves in unison with the earth’s tendency to swell and contract over time, thus avoiding any serious damage. How much does the estimate cost? 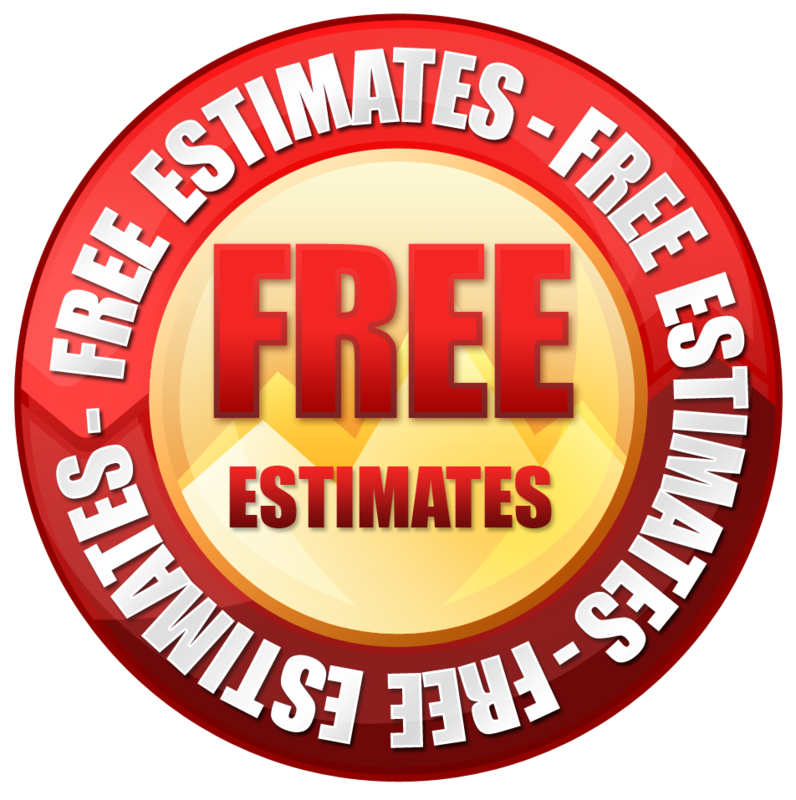 Your Paver estimate is quick & free! No obligation, no pressure. 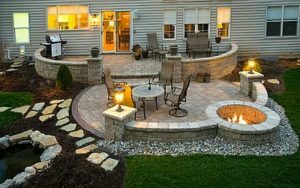 Contact us now to have a Stone creek hardscapes representative come out to your home to consult with you on your paver project. Yes! Thanks to our highly trained installation crews, your pavers are easily fit any design, including steps and walls…and curves! What holds pavers stable around the edges? A concrete edge beam is installed around the edges of your patio, deck or driveway to protect the pavers from lateral movement. Yes. Our driveway pavers are designed to withstand the heavy wear and tear of RVs, motorhomes, buses and more. Please let us know about heavy traffic so that he can advise our installers accordingly. Pavers are always installed to be as level as possible. However, feel free to tell us of any specific concerns you may have. 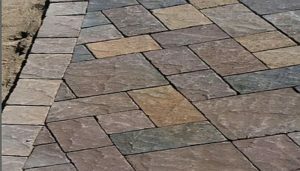 Because there are so many great pavers to choose from, the more information you give us, the easier it will be for us to make the appropriate recommendation. How long do I have to wait to drive/walk on my pavers after they’re installed? That’s the best part, there’s no down time required! You can walk & drive on your pavers right away. How do pavers stay together? Grouting sand adds friction between the pavers, thus enhancing their stability. The pavement as a whole is kept together by concrete edges; these keep edge pavers from moving. In Europe, they have seen pavers last over 50 years. This is much longer than other pavements under normal residential use. The longevity starts with using high quality pavers and a competent contractor to execute a proper installation. 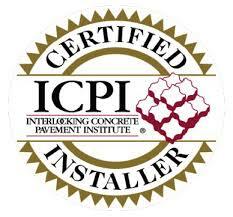 If pavers are not installed properly they may not last as long as they should. Mildew grows on surfaces that are kept cool and moist over an extended period of time. Pavers are more resistant to mildew as the surface retains water less that other pavement surfaces. Using a waterproof sealer and power washing are other tips on how to reduce mildew. On the other hand some customers find this to add a rustic appeal to their pavers and actually encourage its growth. Do I have to keep adding sand? As part of the installation process, we ensure that all crevices are filled with the proper amount of sand. Upon request and prior to the installation of pavers over dirt, they can be treated with a soil sterilizer. For the most part, if the pavers are installed properly and a compactor was used on the pavers to lock them into place, you have cut off much of the growing environment. There will still be times when seeds can blow in and start growing in the sand between the cracks. When this happens, you can usually pull them out very easily or spray them with a weed killer and remove them. What if I need replacement pavers in the future? What is the smallest job Stone Creek hardscapes will handle? Stone Creek hardscapes will bid on any size job. When you think of paving stones you often get the idea of stones that fit together like a jigsaw puzzle. That is not the case at all. Pavers can NOT move independently from its neighboring paver. In fact there are two important aspects that keeps the pavers locked together. The first is the sand. As simple as this might seem the sand creates stability. Not any sand though, it must be a sharp angular sand (also called Joint Sand and Polymeric Sand) that will lock together. If you filled the joints between the pavers with silica sand, each particle is perfectly round, it’s like putting ball bearing between the pavers and they’ll then be able to move independent of the stone next to them. The second important aspect is the edge restraints (the concrete border that is holding the pavers together). Since they are sitting in sand not mortar if the edge is not held firmly in place they could start to spread apart. This would create larger and larger opening between the pavers that would eventually be so wide that there would no longer be friction between the stones. Pavers add to the value of your property. 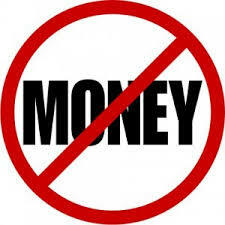 The difference in cost versus conventional surfaces can be added directly to your property value, plus some! You will benefit for years to come through the extended life of the material and you will eliminate the need for extensive maintenance after the installation of pavers.